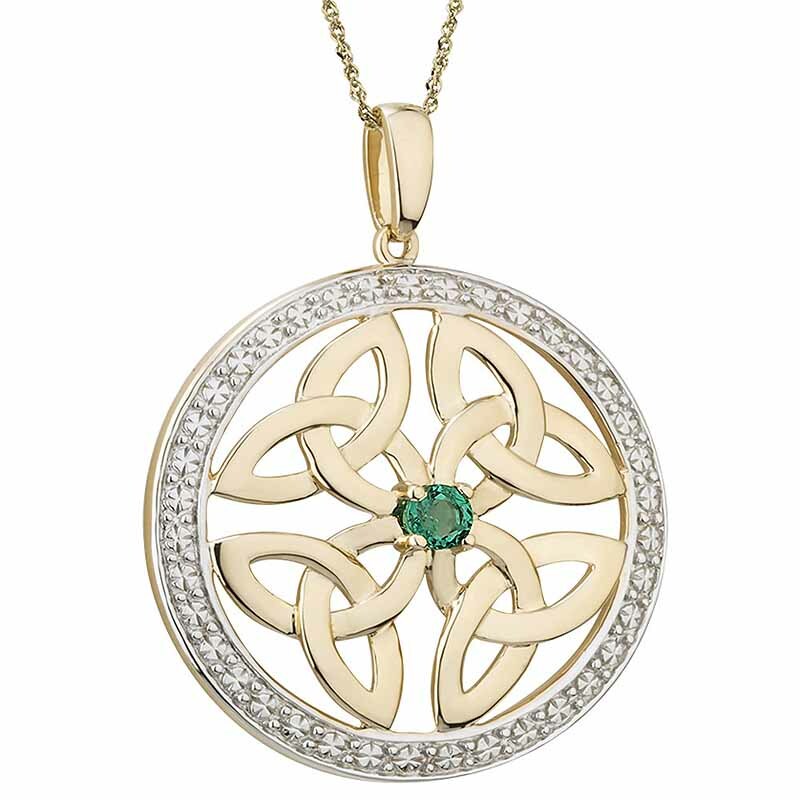 A Celtic Necklace with a gorgeous, deep, green emerald at its center. 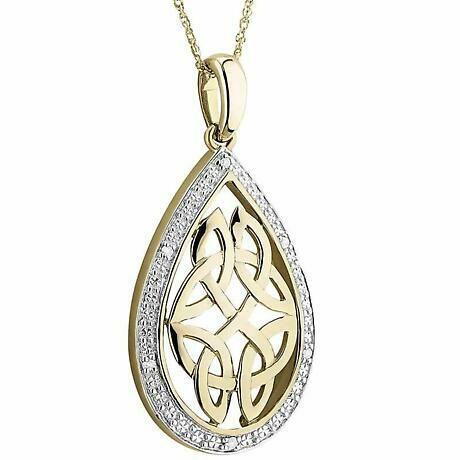 A quartet of 10k Yellow Gold Trinity Knots intertwine to form a Celtic symbol, reprsenting the eternal or everlasting. 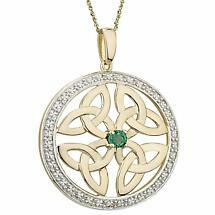 A circle of 10k White Gold dazzles with diamonds to finsh a classic piece of Irish Jewelry. 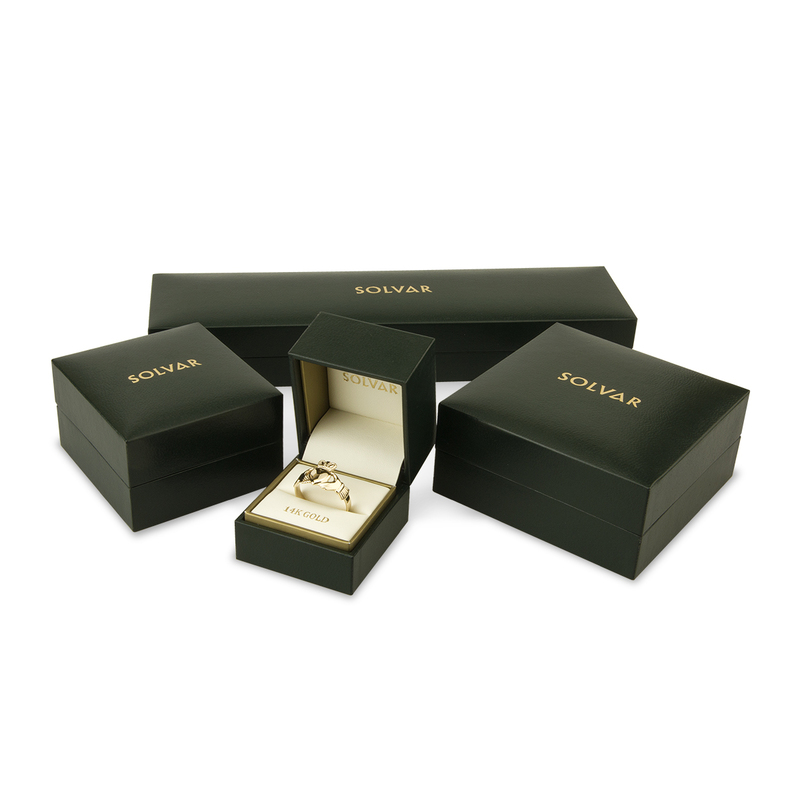 An ideal gift to express enduring Love, Faith or Friendship. 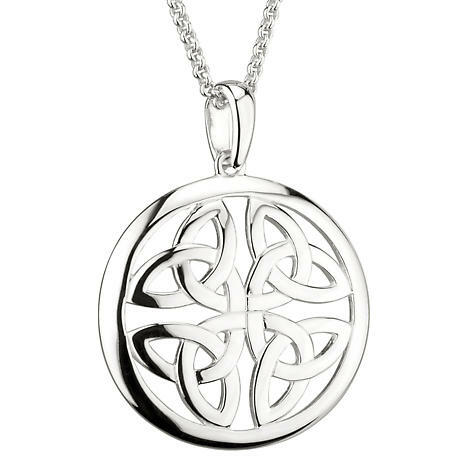 This necklace comes on an 18 inch 10k Gold Chain in a presentation gift box. Measures approx. inch tall and inch wide.